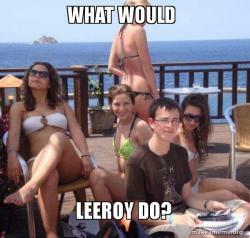 the Priority Peter meme is of a nerdy kind of guy with hot chicks posing around him. He is holding a calculator and appears to be doing his homework. Obviously the guy doesn't have his priorities right!